Recently 8th grade students in Middle School English classes considered the novel To Kill A Mockingbird from a different perspective—by literally walking around in the story as actors as well as readers. Each year Harper Lee's classic novel of racial injustice and personal honor is read by 8th grade classes around the country and around the world; for example, it is also included in the Australian curriculum at that level. 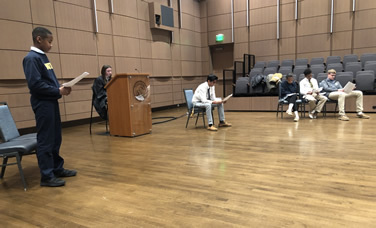 Last week, Bullis students expanded their understanding of the book by performing, in the Discovery Center's Studio Theater, the iconic trial scene. The project was initiated when Middle School Theatre Teacher Chelsie Lloyd suggested to Middle School English Teachers Claire Holman and Marcie Demers that students could explore an assigned work of literary fiction through performing as well as classroom reading and analysis. "This year it was my goal to collaborate more with the core academic teachers in order to enrich the planned curriculum," Lloyd says. Working together, the three teachers designed a performing project to enhance student understanding of the characters in To Kill A Mockingbird. "When Chelsie came to the English department with ideas for a cross-curricular project with theatre," says Claire Holman, "we brainstormed different options for what parts of To Kill A Mockingbird would best help students take the perspective of characters or highlight character growth." 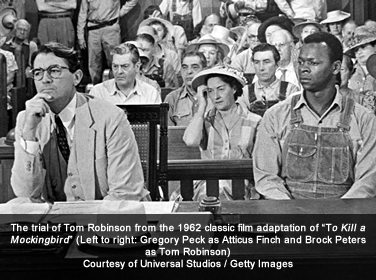 Eventually, they decided on the iconic trial scene with Atticus and Tom Robinson, "because of its complexity. It also positions a student either as a center-stage participant with all eyes watching or as a powerless spectator." With a basic set in place and scripts in hand, students in each Middle School English block took on roles that gave them the chance to watch the story unfold dynamically through the eyes of one of the characters, and to understand what it might have been like to be in a trial or a part of the society of that era. Swapping their own genders and diverse identities to tap their acting abilities, they became either spectators, witnesses, the accused, victim, judge, lawyers—or even the book's main protagonists, Scout and her father, Atticus Finch. This brought a new dimension to the book's invitation to walk in someone else's shoes. Staff were invited to participate as jurors, with one standing to declare the jury's decision. The teachers prepared a script from the novel, while Lloyd, as acting coach, did not require the students to memorize lines. "I told them what I tell my theatre students—be familiar with your part, read it several times, and you'll be fine, you'll learn more than you expect." The project also gave students not involved in the Bullis theatre arts program a chance to experience a little of what that's like. 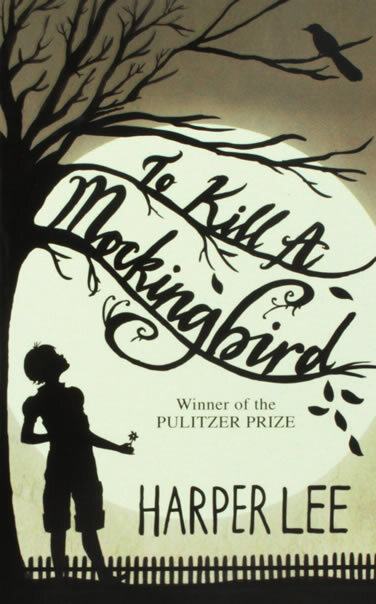 "Reading a character's words on the page is beneficial," Holman continues, "but having to hear, speak, and move as a character in a high-stress situation helped the students better understand Harper Lee's message of empathy, compassion, and understanding for others. As Atticus Finch tells Scout, `You never really understand a person until you consider things from his point of view . . . until you climb into his skin and walk around in it.'" This cross-curricular program, part of a larger departmental goal to create more connections between Bullis arts and other areas of the school, proved an intriguing challenge for Lloyd, Holman, and Demers as well as their students. "What they studied in class became a fuller experience when combined with performing arts," says Lloyd. "By acting out the scene in front of an audience, the students gained a better understanding and appreciation of the novel, its themes and social issues, and its relevance today." While some educators argue that the story about racial injustice centers around the moral dilemma of the white characters and a white hero, Claire Holman took this debate into account when choosing to teach To Kill A Mockingbird. Focusing on To Kill A Mockingbird in the context of being an upstander and sacrificing to stand up against racism, she states, "We discuss the issues surrounding this story, such as how we will handle the derogatory language in school, and reflect about how addressing this hateful language will help us learn how to have uncomfortable conversations, which they will inevitably have in their lives to come. We also speak about context, audience, and purpose of the novel." "We cannot child-proof the world," Holman concludes, "but with the right tools, students can better understand the contextual impact of a story, discussing who is left out, what is glossed over, and why this story reached such popularity in its time. We encourage them to write the stories that need to be told in our society today, but we can also help them understand that experiencing discomfort is a chance to grow and understand something that you might fear. " "Miss Jean Louise, stand up. Your father's passin'"—and with that famous line, the 8th-grade students concluded a multi-faceted experience in literature, drama, teaching, learning, and, perhaps most importantly, collaboration. For further reading, Holman, who chairs the Middle School English Department, cites the numerous articles and even books that address why it is important to read and discuss the novel.